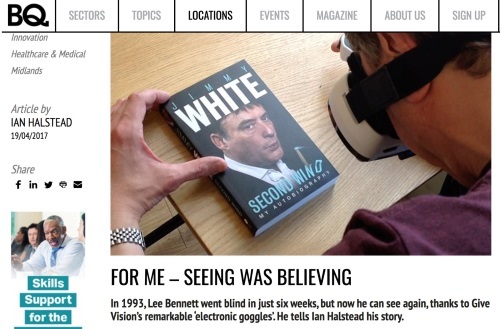 "Having seen many different items over the years that make big bold claims about the improvement they can provide to my sight that have all been a let down I truly thought at first this would be yet another of those but how wrong could I be? The first time I tried the SightPlus headset I was taken back by just how powerful this magical bit of technology was. For the first time I was able to see across the room and see what was going on the other side and even more amazingly I was able to see the people around me, faces, and what people looked like and they were not just fuzzy outlines. 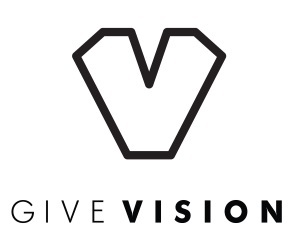 Throughout, the team at Give Vision have been really supportive and friendly and it's more like talking to friend or close family member than to company. I understand while yes the current version may not be for everyone and may not be able to help but you never know it's worth taking part in one of their free trials to find out if it can help you as you have nothing to lose and maybe a lot to gain. This amazing team are totally committed to helping make peoples lives better and helping people improve what they are able to see and do independently and are always working on both software and also firmware updates." "For me, it enables me to see things that I have never seen and/or other things in ways I have never ever seen them. For the majority of the visually impaired, it should restore the possibilities of going into art galleries, museums, churches and viewing other things that they would otherwise no longer see or appreciate. The one thing that did surprise me was that I did not always know what I was looking at. I mean although my level of acuity and field have been miraculously enhanced and clearly SightPlus enables me to see an object I sometimes have to be told what it is or have features pointed out to me. For someone who has always had a vision problem that makes sense when you think about it but it is a queer experience. You have to learn to see and register what SightPlus enables you to see. In other words, it will take me some time to fully appreciate let alone benefit from what SightPlus and its successor can deliver. I think I would sum it up as previously I could discern form, now I can discern or am beginning to discern substance." "Went into the appoint with no expectations....infact, with the feeling that this wouldn't help my daughter due to the nature of her eye condition. 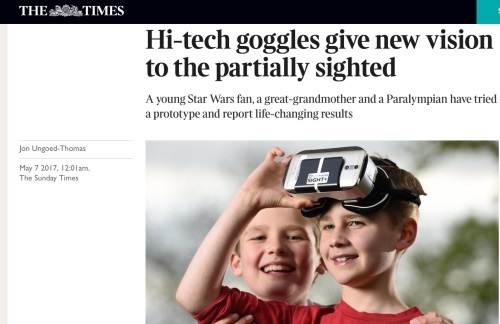 Wow.....almost brought a tear to my eye when she put the googles on. It's been a while since I saw her smile like that. 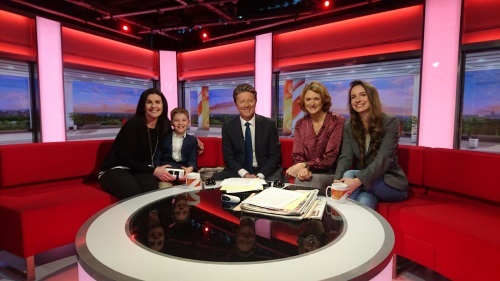 Many thanks to all involved...especially my daughter's SENCO for researching." "This evening we took our 8 year old son to the circus, and for the first time ever he watched the whole show, and loved it. It is the first time he has seen a live show - how amazing is that? And what a happy boy."